Kelab Multimedia: Bengkel Web: JOOMLA! Spent time searching for website templates? Free templates = looks cheap? Stunning templates = super costly? How about create it yourself? With our interesting features, you may just drag and drop to design & develop your own websites as much as you wish. Yes! 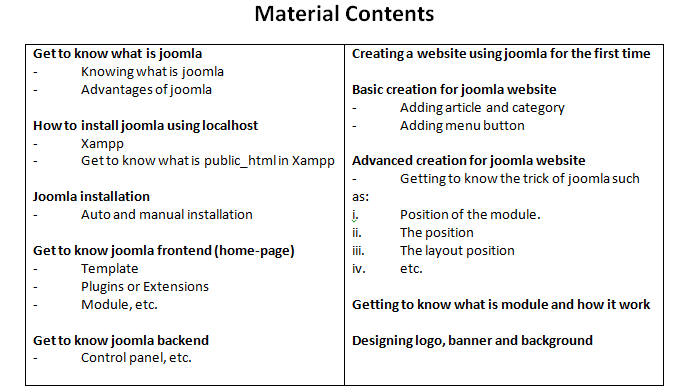 Just that easy with JOOMLA! 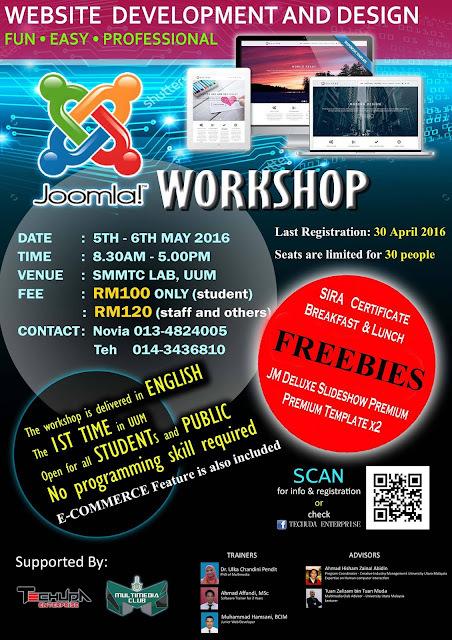 Turn yourself as a professional website designer and developer in just 2 days! Joom join us now! Scan the qr code or visit our official fb page for more details!